Belfast Co-op is co-sponsoring this screening with the Cooperative Development Institute (CDI) and Crown O’ Maine Organic Cooperative . 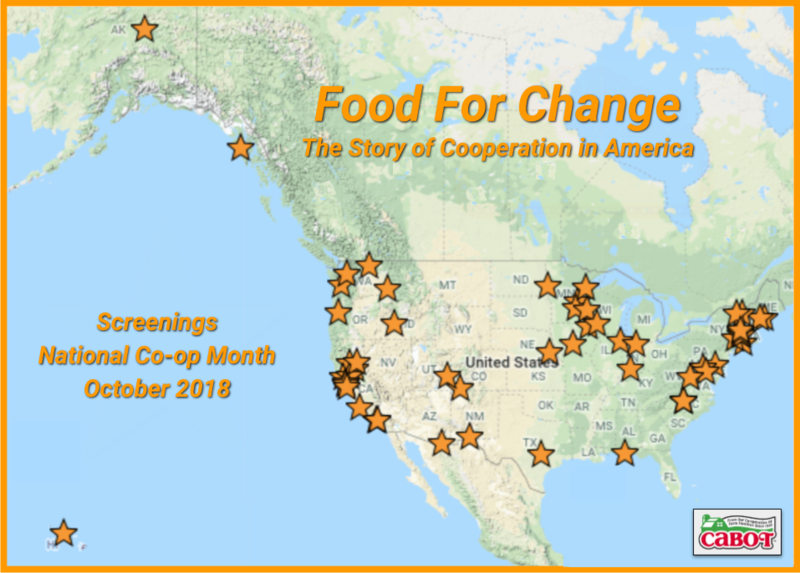 …is an outgrowth of a grassroots effort by back-to-the-landers seeking access to good food at a fair price, a unifying story among food co-ops across the country during this period. Essential support came from pre-order natural foods food-buying clubs in the region, particularly the Friends Co-op in Liberty-Montville which realized that after three years operating as a buying club, there was more than sufficient community interest to open a brick-and-mortar natural foods store in downtown Belfast. In 1976, the Belfast Co-op opened its first storefront at 16 Upper Main Street, with an old wood floor and a sizable parlor stove. Our motto “All are welcome” was born. Working out of an 800 square foot shop, our pre-order activity attracted new member-owners daily and the Co-op grew to accommodate orders from non-members as well. It was very loosely run, with a Board of Directors more committed to providing good food for the community than making money, and monthly meetings which took place in people’s homes and always included a potluck supper. As we continue to grow and change, we retain the same goals and mission reflecting cooperative values, and providing goods and services to our member-owners and customers who visit us from three counties in midcoast Maine and beyond. With over 3,900 member-owners and nearly $8 million in annual sales, we remain Maine’s largest food co-op, as well as one of the oldest.